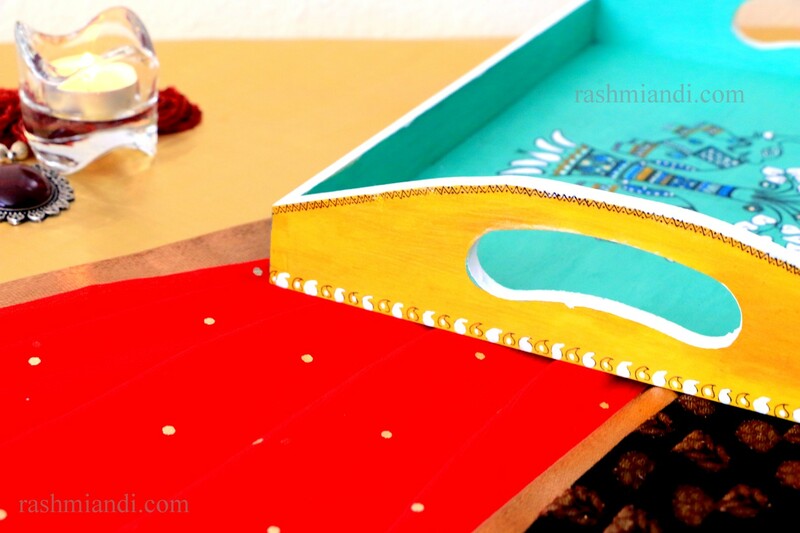 I always wanted a serving tray which was hand painted. So i decided to make one for myself. I use this tray to serve friends some snacks and Tea. 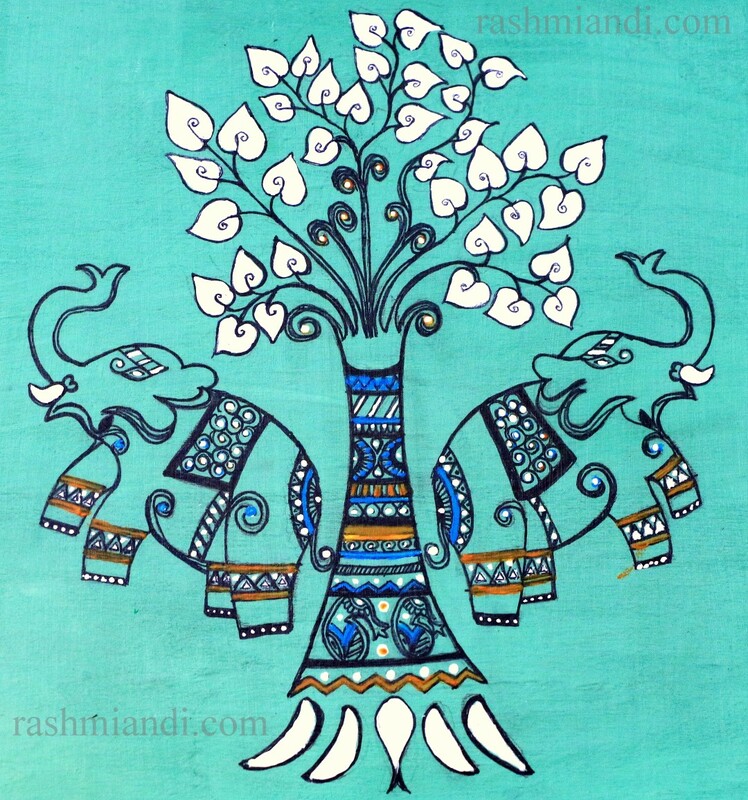 By my earlier post’s you would have already gauged that I love folk art and since am far away from my homeland, I always try to incorporate some glimpses of the Art from India in my house. This was a similar kind of a project. 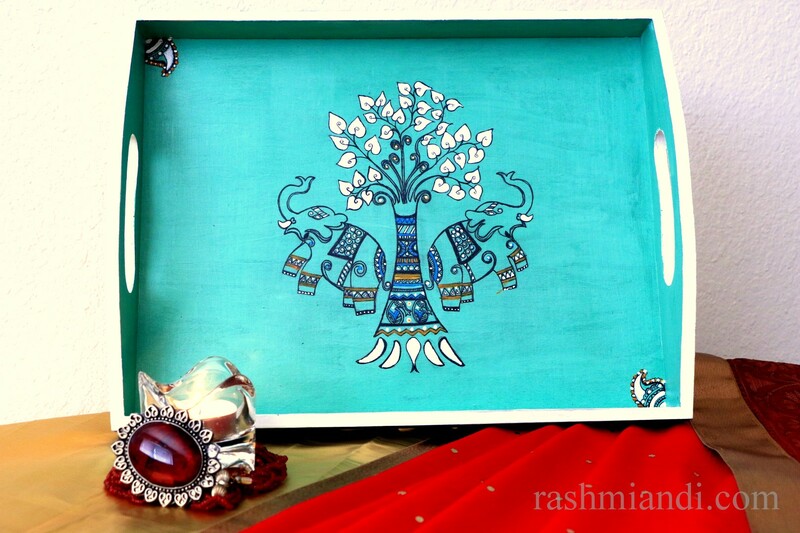 I decided to make a Hand painted Madhubani Serving Tray using the wooden tray available at Michael’s. 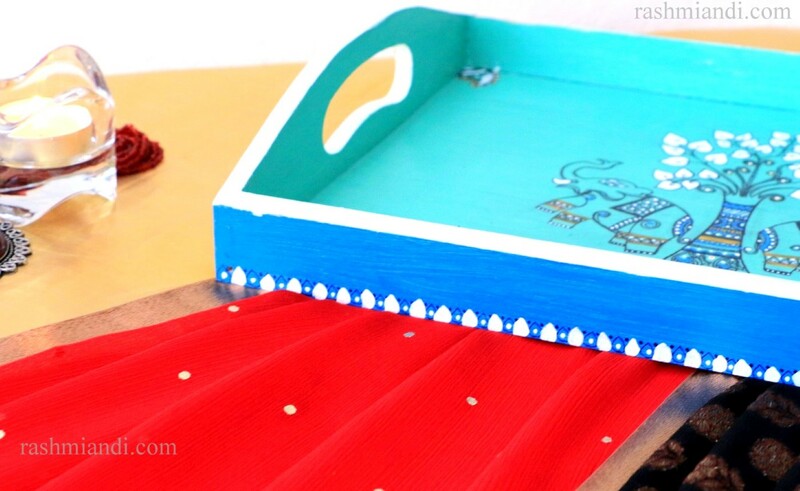 Step 1 Start painting your tray with Acrylics, any color of your choice on all the sides. Let it dry. Step 3 Using color of your choice complete the design. Step 4 Let it dry for two to three days. Step 5 Finally finish it with Acrylic gloss medium using big sponge brush. Wait between layers. Apply 2-3 coats on all the surfaces. This medium helps to protect all your acrylic projects. Let it dry. Enjoy Hot tea and biscuits in your new serving tray. I wanted to know if you painted the outlines with a pen or a fine brush? Hi Gouri,I used a Sharpie fine tip pen.